Gert, is the celebration next week? Do you have to decorate your house with lantern? Thanks for the mooncake. Murphy makan satu ketul habis terus. But just the egg yolk one. I would love to try the durian flavor. Emm..emmm must be yummy! PJ, you suka mooncake jugak. Makan sekali sekala is ok. Bukan hari hari bakery jual mooncakes :) Only once a year. Zue, I am surprised Murphy suka mooncake. Carlos tried one slice and that was it. Tak mahu lagi. Laki aku ni susah sikit. Very picky and not adventurous when come to try new food. 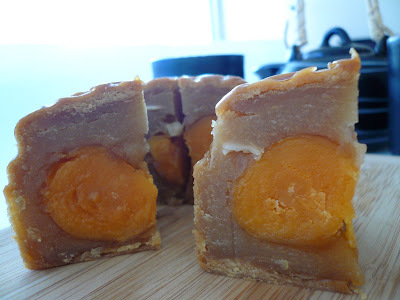 Nanti I bagi Murphy some mooncakes with double egg yolk. I, too got the surprised gift from our dear friend. Blessed his heart. Tengah lapar ini, will cut some and enjoy it after I post your comment. It's almost 11:00 pm, but who cares???? HEHEHE. 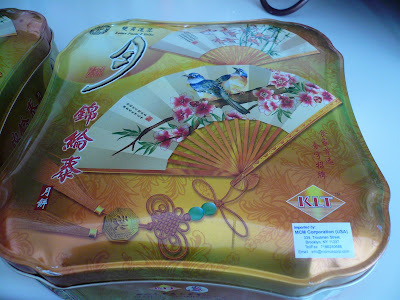 Gert, happy mooncake festival 2 u..i pernah makan this once..long time ago...should go n find again nnti.. Your friend is so nice and thoughtful. I am going to buy mooncakes today. Prefer mine with out the yokes. Gert ... Is Kum Lun Tai the shop at the end of Petaling Street? Their mooncakes were the most popular during my childhood. Like aiyah nonya, I like mine without egg yolks and the lotus paste must be firm-firm. Enjoy! Cat, you like mooncakes? Robert and the girls makan tak? Nonya, I too prefer the plain tau sar and Lotus with kuaci like the one we used to eat when we were young. Enjoy it with my chinese tea heehe still got one more leave to wait on 25 of sept heheh. 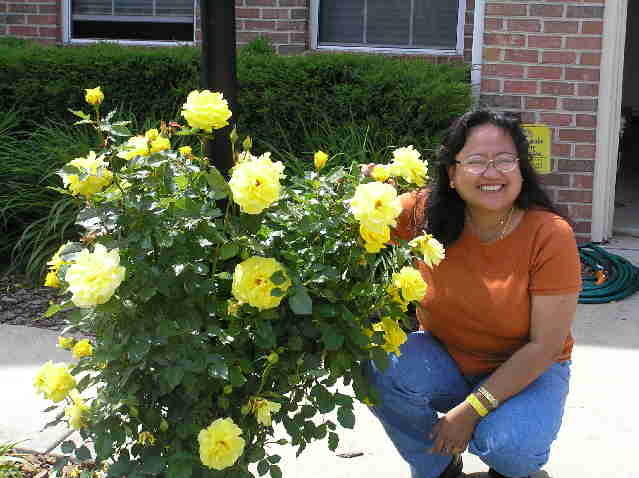 p/s I have pass on a I LOVE YOUR BLOG AWARD to you but becos you have been miss action few day I guess when my post it . Choy, come lah to my house. I can belanja you the mooncakes :)Wow, you hubby really like egg yolk yeah. 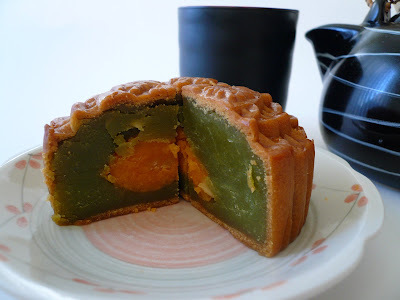 Until 4 yolks in one mooncake. Pearly, thank you so much for the award.